Travis Hinman advises and represents clients in the resolution of complex disputes. 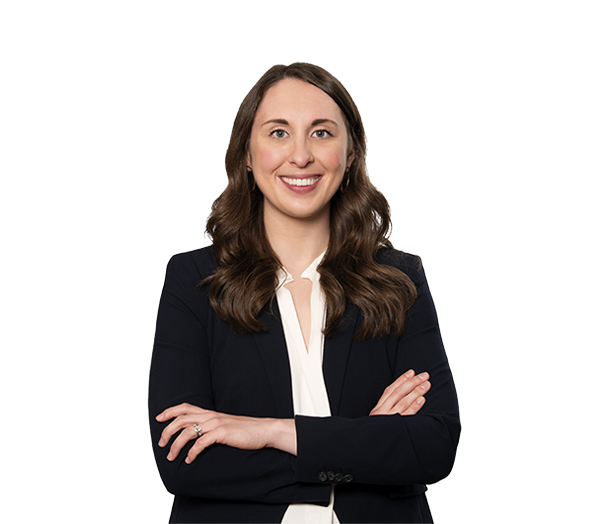 She has a broad range of litigation experience in state and federal courts, including in unfair and deceptive trade practices cases, fraud and securities claims, state False Claims Act cases, employment and labor issues, and breach of contract actions. Travis has experience with various stages of litigation, including fact investigation, discovery, motions practice and appeals. Her appellate work draws on her experience as a law clerk to the Honorable James A. Wynn Jr. of the U.S. Court of Appeals for the 4th Circuit. Travis also advises national employers regarding compliance with a variety of state and federal laws. In addition, she counsels tax-exempt and nonprofit organizations regarding governance matters, formation and applications for tax-exempt status. Travis maintains an active pro bono practice focused primarily on appellate work. She has represented the North Carolina Guardian ad Litem in an appeal before the North Carolina Court of Appeals, as well as assisted in the representation of an indigent criminal defendant in an appeal before the Supreme Court of North Carolina. Represents a Fortune 20 telecommunications company in a series of cases and appeals involving state False Claims Act actions and other claims regarding alleged under-collection of certain government taxes. Represents a national employer in agency proceedings involving claims of race, national origin, age and gender discrimination and retaliation. Represents nonprofit organizations and interest groups as amici curiae before state and federal appellate courts. Advises companies regarding compliance with a variety of state and federal employment laws, including anti-discrimination and anti-harassment laws, wage and hour laws, and paid sick leave laws.